Railways and trains have been a gift to the world, they revolutionised the way we travel and opened up myriad opportunities for trade and exploration. And while many of us enjoy using them today, or earn our livings working on them, there are very real dangers that must be accounted for. Horrendous accidents are possible if people don’t follow the rules and use a little common sense. If, however, you know how to stay safe, the utility here is endless. So with that in mind, we’ve put together this guide on what you need to know about train and rail safety. “The UK railway is one of the safest rail networks in Europe, but that doesn’t mean we should be complacent. The hard work of rail staff and the vigilance of rail users is to their credit. Despite our positive record, there are a few areas that we need to work on; safety at level crossings and the platform train interface - the gap between the edge of the platform and the train. These areas still present a small risk to rail users and it is essential that we stay safe at these places. There are more than 6,500 level crossings in the UK, and they provide a safety hazard that everyone must respect. While they can of course seem inconvenient at times, we must remember that they are there to keep us safe. So when you see the lights flashing at a level crossing, don’t ever be tempted to try and beat the barrier down. Just be patient and wait, you will be on your way soon enough. Those who have travelled on trains and Tube lines will be very familiar with the phrase ‘mind the gap’, but this isn’t a joke, it’s an important instruction to help you avoid injury when entering and exiting a carriage. So always be cautious when boarding or stepping off a train, as those gaps between you and the platform are prime for a foot or shoe heel to get caught in, which could lead to a nasty accident. This is especially important to remember when travelling with kids. When we are at stations, rushing around or sleepily awaiting our train, it can be easy to not pay attention to what’s going on around you, failing to obey important directional signs and warnings. But it’s important to stay alert as much as possible and be aware of these signs as they exist for your safety. It can be as simple as listening for when a train is approaching the platform and having the mindfulness to hold on to your child’s hand to prevent potential disaster. Rail safety is very important to Hull Trains, an award winning operator that runs 92 services a week from Hull. They were eager to share with us their advice for staying safe around railways, emphasising awareness of your surroundings and not getting distracted by mobile phones. “Overall, our advice is to always be mindful of your surroundings and the environment that you find yourself in. Think about where you're going and be aware of the station or train. Develop your strategies for staying safe, for example, if you need to use your phone, consider if it's actually safe to do so. Do you need to move further away from the track/stairs/people? If you need to answer a call, consider telling the caller very quickly: ‘I’m about to catch a train, I’ll need to hang up shortly and then ring you back.’ We all need to be more aware and be actually thinking these kind of things. 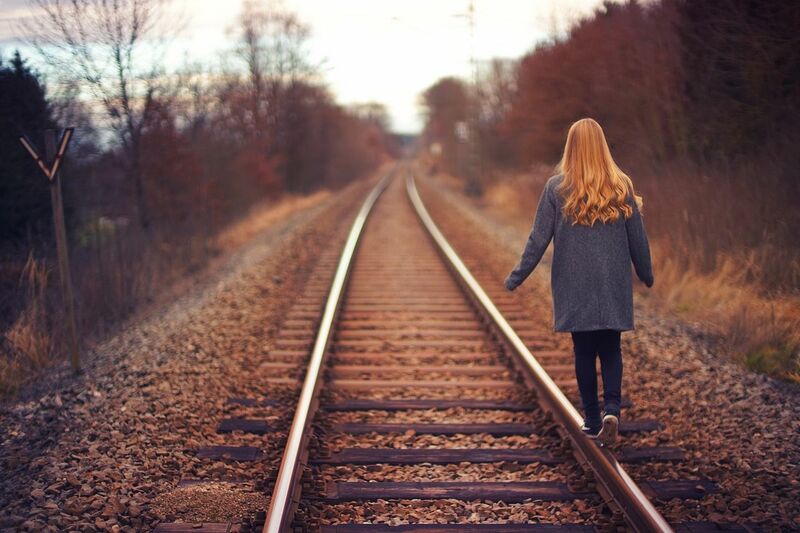 It is illegal to trespass on tracks or the embankment areas surrounding them, and this is the case for good reason. These areas are incredibly dangerous and can be the scene of tragic accidents. Crossing the railway might seem like a good shortcut, or you might think it’s okay to pick up an item that has fallen onto the tracks, but this is a grave error of thought and should be rejected at all times. Travelling alone can at times be a scary experience, and this is of course amplified at night. We can keep to ourselves and be polite to all those that we come into contact with but that doesn’t account for certain individuals who will act out of line. So do all you can to keep safe and try and catch trains in well-lit areas when possible. You want to get from A to B but it’s even more important to look after yourself. In the same vein as the advice above, try and sit near other passengers – ones that you think that you can trust of course – when travelling alone on a train (particularly at night). It might seem like good logic to find a spot all by yourself but that could single you out for danger down the line, especially when coming into contact with those that have been drinking. So assess the situation, and try and sit in a carriage with plenty of other people. Don’t travel in fear, but trust your instincts and be aware of what’s around you. This should be a no-brainer but it’s surprising the amount of people who ignore instruction and common sense, standing beyond the yellow line when trains are oncoming. These rules and procedures exist for a reason and there is just no good excuse for perching on the edge of the platform. 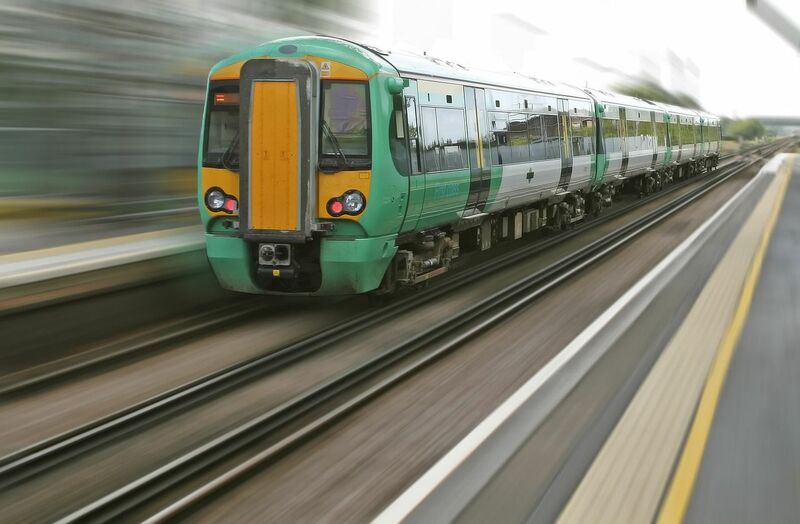 Trains travel at incredibly high speed through stations – not all making a stop – so always make sure to wait until a train has come to a complete halt before crossing the line. It may be obvious to most but overhead power lines are a dangerous hazard and must be kept well away from. The line that runs above the track contains a strong electrical current, 12 times greater than that of an electric chair. You do not even need to touch the power lines to be shocked as the current can jump outwards. So it goes without saying that keeping well away from them would be prudent to say the least. When travelling on railways we are often doing so with our families; perhaps when heading to the airport for a holiday, or simply for some Saturday shopping. It can be overwhelming at times trying to navigate your way around, carrying bags, and look after children all at the same time. But it’s important to try and keep a cool head and make sure your little ones are well looked after. When in and around stations, keep them nearby, hold their hands if possible, and also make sure that they are aware of the dangers themselves. Teaching kids about rail safety beforehand is certainly a sensible move, preventing unnecessary accidents. A child’s nature is to play but what can’t be emphasised enough is that railways and stations are not a place to do so. Railways are not a playground and it’s important for kids to realise this as the hazards are not always obvious. Serious harm can be caused: there is electricity flowing at great rates, engineering works are often taking place, there’s a lot of machinery, and, of course, trains themselves can be very dangerous if care is not taken. Save the games for the park, be sensible, and you’ll have nothing to fear.